BANFF, AB, March 17, 2016 -- Banff Centre for Arts and Creativity is proud to announce the appointment of Claire Chase and Steven Schick as Co-Artistic Directors of Summer Classical Music at Banff Centre commencing with the 2017 season. Chase and Schick will build on the visionary tenure of Barry Shiffman who has guided both classical and other music programming at Banff Centre for the last 10 years. Banff Centre is delighted to share that Barry has decided to remain a key pillar of its classical music programming through the triennial Banff International String Quartet Competition (BISQC), which will celebrate its 12th competition this September, having accepted the invitation to continue as Director of BISQC through the 2019 competition. Both former faculty members at Banff Centre, Chase and Schick will create programming starting with 2017 summer season. Programming will have a strong chamber music focus in addition to reflecting new approaches to the development of classical musicians, both from a skills-training and also a career development perspective. It will emphasize peer-to-peer feedback and collaboration as a pedagogical model. Programming will continue Banff Centre’s commitment to mentorship, performance, recording opportunities. The co-artistic directors will also provide participants with the support of composers, new classical work and the investigation of performance models that engage new and established audiences. “I know that both Claire and Steven will bring truly inspirational programming that builds on and honours the strong legacy of classical music at The Banff Centre and I look forward to sharing early details of this programming with our artists, audience and supporters in summer 2016,” commented Carolyn Warren, vice-president, Arts at Banff Centre. "Generations of artists, from Canada and around the world, have come to Banff for inspiration and great music-making. I am lucky to have been among them. The chance, now, to come to the Banff Centre as co-Artistic Director of the Summer Classical Music Program with my friend, the extraordinary musician Claire Chase, is simply one of the great opportunities of my lifetime,” commented Steven Schick. “With our terrific partners in Banff, Claire and I will strengthen the legacy of the Banff Centre and embrace with open hearts the spirit of adventure, invention, and collaboration that has made it such a special place in the world." "I am beyond honored to join my long-time collaborator, dear friend, Steven Schick, in this thrilling new adventure. With Steven and The Banff Centre team, I am deeply excited to build on the rich legacy of the Summer Classical Music Program and to collaborate in creating a vibrant, dynamic 21st century artistic and educational environment at the Centre," commented Claire Chase. 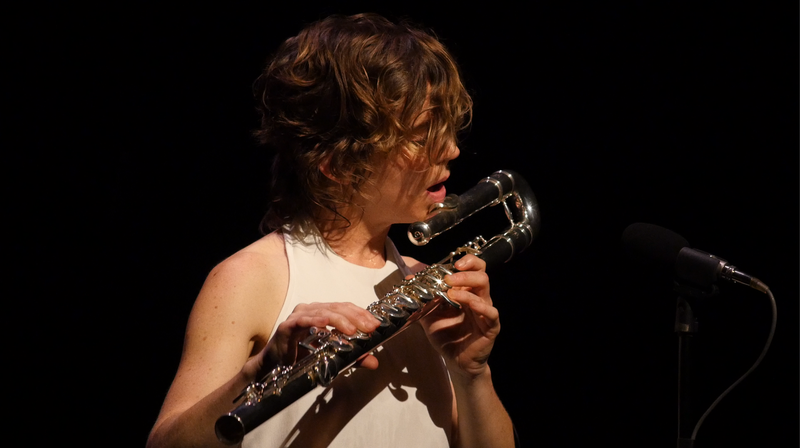 About Claire Chase: Flautist Claire Chase, described by The New Yorker as “the young star of the modern flute”, is a soloist, collaborative artist and a founder of the International Contemporary Ensemble (ICE). Over the past decade she has given the world premieres of over 100 new works for flute, many of them tailor-made for her, and in 2012 she was awarded a MacArthur Fellowship. Chase was a faculty member in Banff Centre’s Performance Today residency (2015) which saw musicians explore new ways to perform classical music today. She has performed through the US, Europe, Asia and the Americas, and recently began Density 2036, a 23-year project to commission a new body of repertory for the flute leading up to the 100th anniversary of Edgard Varèse’s Density 21.5 (1936). In 2016 Chase was announced to receive an honorary doctorate from the prestigious Cleveland Institute of Music. About Steven Schick: Steven Schick is percussionist and conductor who is a Distinguished Professor of Music, Reed Family Presidential Chair in Music University of California, San Diego, and is Music Director and Conductor at La Jolla Symphony and Chorus in addition to being Music director of the 2015 Ojai Festival of Classical and Contemporary music. 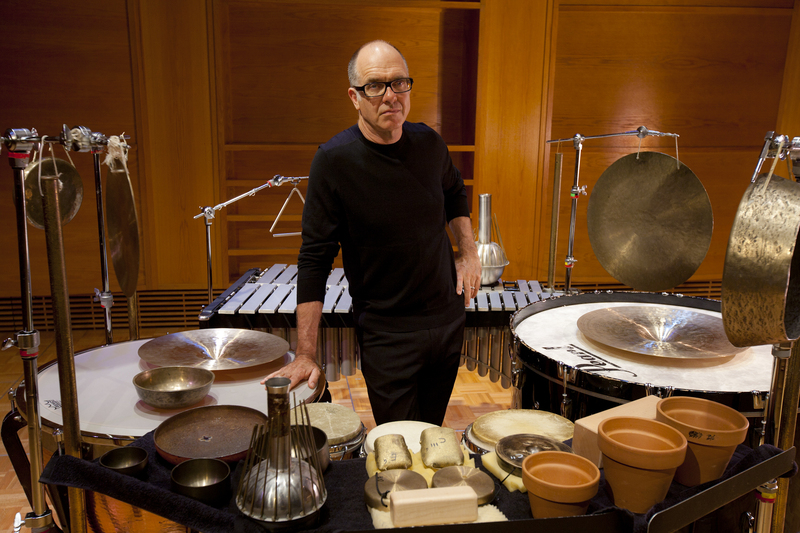 Described by Alex Ross at The New Yorker as "One of the supreme living virtuosos, not only of percussion but of any instrument", Schick has a rich history with the Centre having worked in the summer with current director of summer programs Barry Shiffman as, Director of the Roots and Rhizomes percussion Residency (2009, 2011, 2014) as well as being a faculty member in Banff Centre’s Masterclasses in Strings and Winds and Fall/Winter music programs.